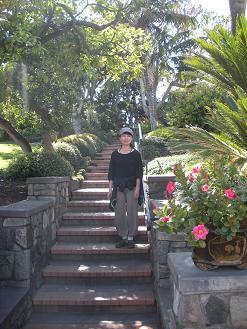 I am visiting Self-Realization Fellowship Temples and Retreat Center in San Diego CA. 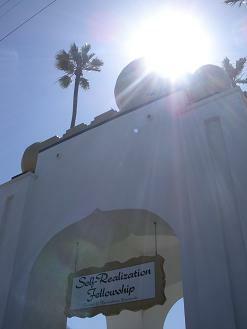 SRF was established by Swami Yogananda in 1920. Yogananda came to the States all the way from India by himself and expanded his teaching in this country. I happened to read his book last summer and somehow it guided me to these temples this year. Yogananda brought Yoga to the West in 1920 and attracted American people with different culture enough to build so many temples in CA. He tried to unify the West and the East spiritually and his teaching is still alive today. His Temples don’t have the typical Asian atmosphere but rather like Christian Church or somehow like Muslim Mosque. 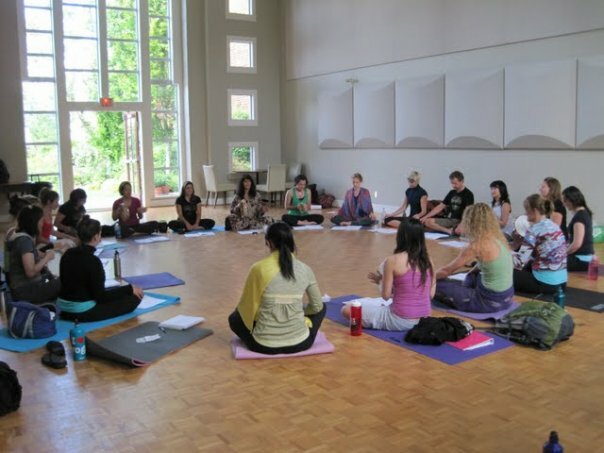 Yogananda also taught Kriya yoga and we can still learn Kriya yoga at SRF. I went to San Diego Temple on the weekend to meditate for 2 hours. 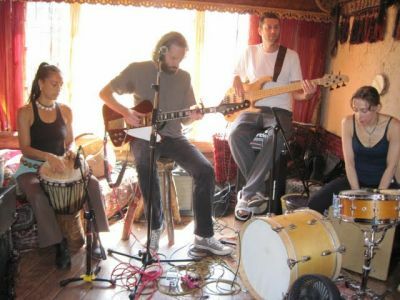 On Sunday there was Kirtan also and I was able to listen to Cosmic Chant. We meditated not on the floor but on chairs. In the Chapel there were portraits of Yogananda and his Gurus , Jesus Christ, etc. All religions are welcome at the temple. Yogananda tried to unify the West and the East destroying the wall among different religions when he came to the US. 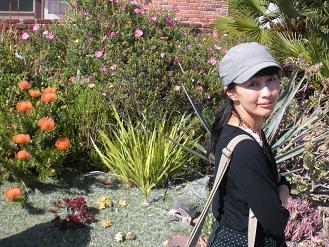 In San Diego Encinitas, there is another Temple and Retreat Center. 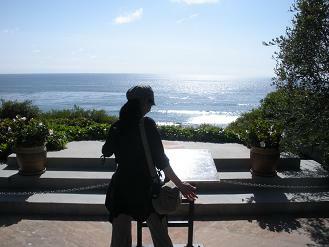 Beside the Retreat Center there is a huge beautiful Meditation Garden facing Pacific Ocean. 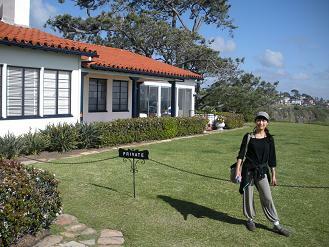 On Sunday we can see Swami’s room where he spent his days here. I saw many people lining up to see the room and they went on their knees to pray in front of the room. Many people from different cultures or countries were meditating in the Garden on the benches. We were looking down the huge beach from the Garden and wild pelicans were flying as groups above the ocean. On the other side, people in Japan are suffering from the earthquakes and Tsunami… The beach below is famous for surfing and lots of people were on their boards. The beach is called “Swami’s bluff” after Yogananda. After yoga classes and meditation, people here always mentioned Japan and prayed for us. In Encinitas I encountered something else also. 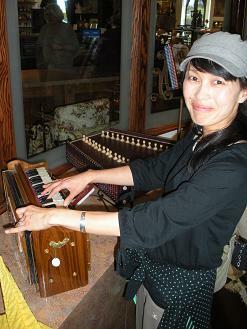 It was the Harmonium I had been looking for for a long time. It is a kind of music instrument made in India. I was not able to find it anywhere so I thought I would not get it unless something would lead me to it. There was Cosmit Chant book also available. It is the time to chant and send the energy and vibration of Love and Light. SRF also has Worldwide Prayer Circle. Private rooms open to public on Sunday. San Diego CA from tomorrow. 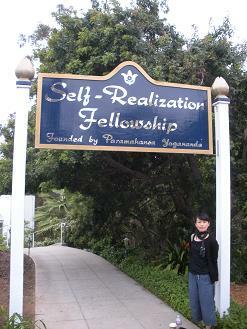 I will visit Self-Realization Fellowship established by Yogananda. 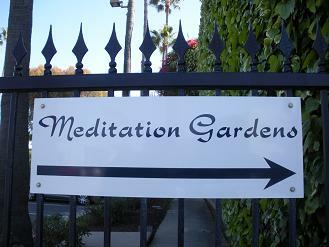 I will attend meditation and Kirtan session. Will visit both temples below. I have a zen monk friend (Soto Zen) in Vancouver. His name is Kim. 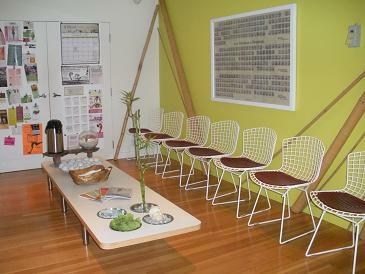 I always go to his Zendo to sit with him when I am in Vancouver. We first of all read Heart Sutra in English. Then sit for 30 min and do walking meditation called Kinhin and then sit again for another 30 min. It was a surprise for me to read the Sutra in English which I usually read in Japanese because I got to understand more what it was saying when I read that in English. Kim sometimes goes to the US to attend Sesshin, which means to sit for a specific amount of time like for a week or 10 days with no talking. At Sessin people just sit for a long time regardless of day or night and they don't talk. I would like to go to do that one day, too. I went back to Vancouver again this summer. 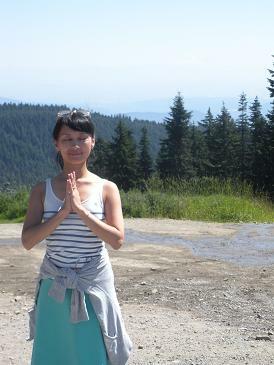 Vancouver is the place I first started to do meditation and yoga. I used to live in North Vancouver so I go back there to stay. My friend Chris invited me to her yoga classes. 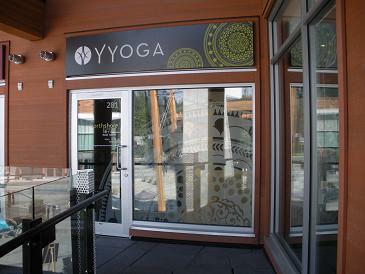 This is Yyoga located in Lynn Valley Center in North Vancouver. 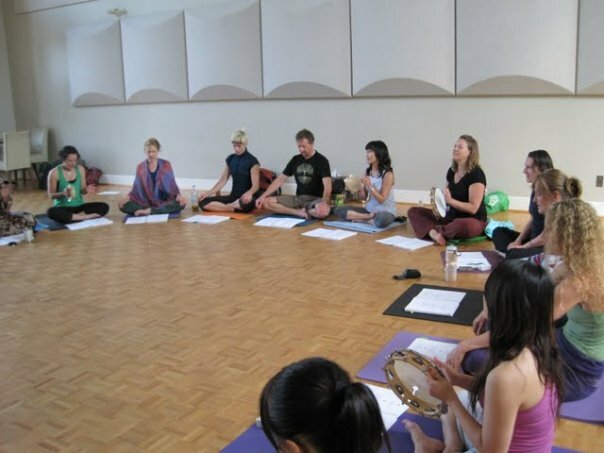 Chris teaches here, Hatha yoga class. We used the wall and belts to do inversion poses, hanging from the ceiling. 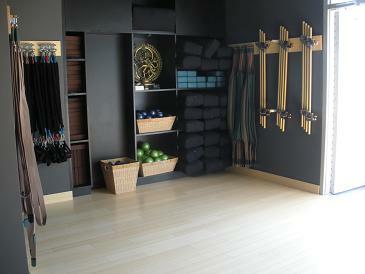 Chris also teaches Yin yoga at Yoga Pod near Lonsdale Quay Market, close to the water in North Shore. 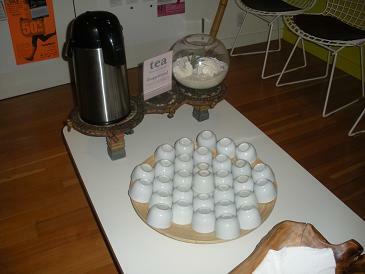 2-week unlimited yoga ticket for 30 dollors is avalable here. They do Anusara yoga teacher training here. I took a class on Anusara and it was excellent. The teacher was on the 7th day of fasting but he had so much power and energy. I felt the heat generated from the class. 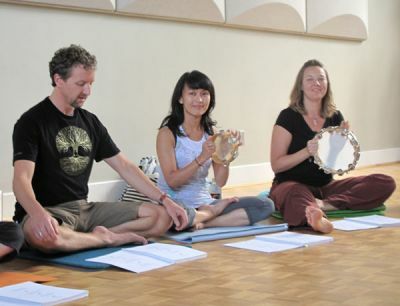 200 hour yoga training coming up in Tofino Nov 2 - 27th at the Tofino Botanical Gardens - lovely spot. If you know of anyone who might be considering Yoga teacher training, please forward this along.